Boarding student speak: "We're back home!" Join us for regular posts from students & staff. This week, the Château girls celebrate being back in residence after the summer break. Here's what some of our châtelaines have to say! 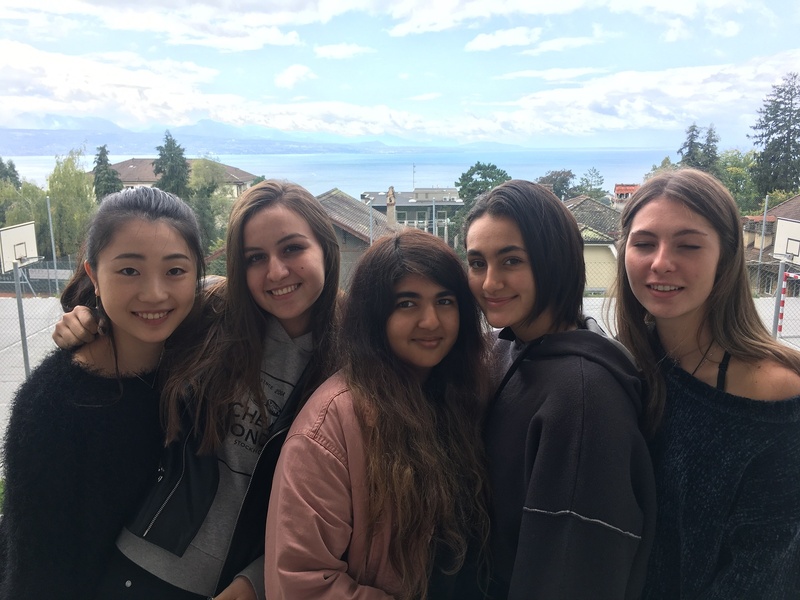 "The excitement of coming back to Switzerland, grew more intensely as the date to return to school got closer and closer. The feeling of coming back to school, to see all your friends, to walk around the streets of Lausanne, enjoy the good, unique weather Switzerland is famous for. Being around the people of Lausanne who always know how to make a normal day, feel like there is something special about it, no matter how small. The international atmosphere of coming back to school has a way of making you feel at home, and your friends make it feel like family. All the stories we all have to tell about our summers, in all different parts of the world never stop to amuse you, giving you a feeling as if you were actually in all those different countries. Being back it is as if nothing has changed. We are all there for each other even if we were apart for a couple of months. You will always find a helping hand, or a shoulder to lean on when in need."